Diplomats from Russia and France have reportedly clashed in a UN Security Council meeting over NATO’s operation in Libya, with Moscow criticizing Paris for parachute-dropping weapons to anti-Gaddafi forces. ­Russia reiterated its stance on Paris’s actions, saying this is a direct violation of UN Security Council resolution 1973, as the original purpose of the resolution was to protect civilians and not supply them with weapons. France replied that supplying weapons to the Libyan rebels was the only practical way to fulfill the UN mandate, as it authorized the allied forces to take “all necessary measures” to protect civilians. 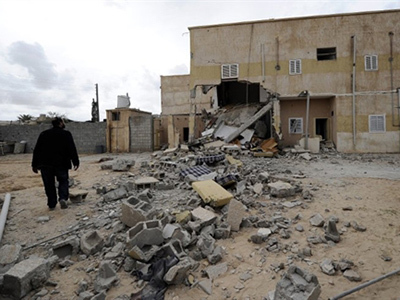 The argument at Tuesday’s closed-door session of the Security Council was sparked by France, which acknowledged last Wednesday that it had supplied weapons to the Libyan opposition. "We began by dropping humanitarian aid: food, water and medical supplies. 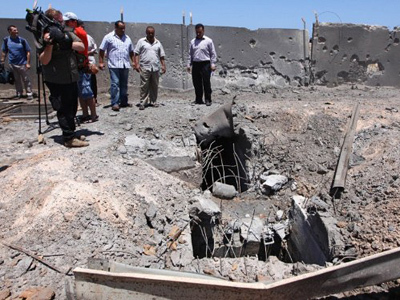 During the operation, the situation for the civilians on the ground worsened. We dropped arms and means of self-defense, mainly ammunition," said French Defense Ministry spokesman Colonel Thierry Burkhard, describing the arms as light infantry weapons such as rifles. 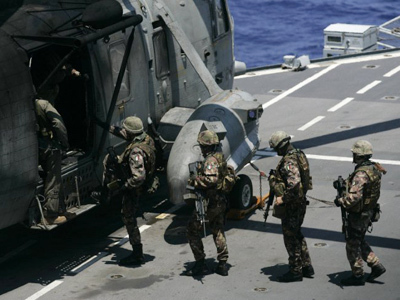 On Tuesday, French Defense Minister Gerard Longuet told the media that dropping weapons into Libya was no longer required. "The (rebel) territories are organizing their autonomy… That is why the parachute drops are no longer necessary," Longuet was quoted as saying by the Agence Presse-France. France is the only country to officially confirm that it has supplied weapons to the rebels. But on Tuesday Gaddafi’s forces reported that they had intercepted a shipment of weapons going to the rebels from Qatar; the weapons were allegedly produced in Belgium. This is not the first time the UN no-fly zone has become a source of contention between the members of the UN Security Council. 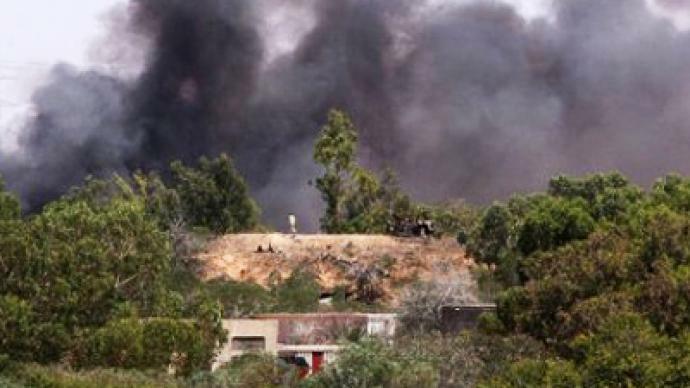 The operation has been going on over four months and civilians are still being killed, including children – not only during clashes between Gaddafi’s forces and rebels, but also as a result of NATO's strikes. Given the recent experience in Libya, Russia has promised to veto any similar Security Council resolution on Syria. Author Jean Bricmont says NATO wrongly interpreted the Security Council resolution on Libya as giving the alliance carte blanche to use whatever force it deemed appropriate against the Gaddafi regime. 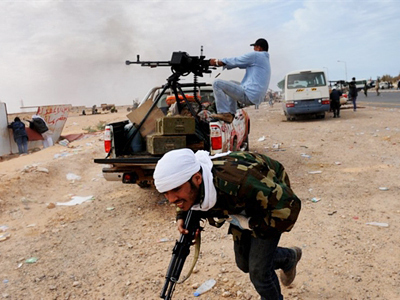 ­France has provided sufficient weapons to the Libyan rebels and can now stop supplies, argued political blogger Rick Rozoff. Rozoff said he is puzzled with statements made by the French Defense Ministry regarding the dropping of weapons to the Libyan opposition forces.